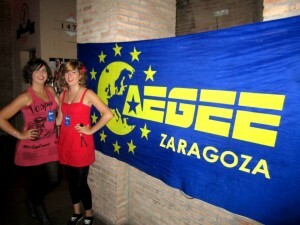 AEGEE-Zaragoza was founded on January 24, 1998. More than 15 years of history, with lights and (some) shades. It is a big antenna with 146 members, a number they are eager to raise every year but do not complain about. 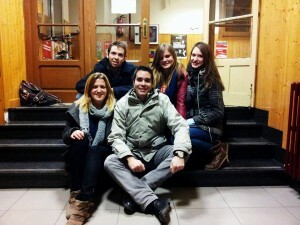 Here’s the story of our Local of the Month from December, the organizers from the past Autumn Agora 2013! For her one of the highlights was realising that after all the work done, all the time spent, effort and dreams they can say “we have been able to organise an AGORA!” and confesses that during the event she had some great moments when she forgot the rush, stopped and thought to herself: “Wow, this is really happening”. Of course organising an Agora had to be celebrated and when Sunday came and cleaning of the Congress Palace had finished almost the whole team went to the spa to relax and have lunch together. “It was a really cute moment because the whole team was with a very big smile on their faces after such a big success of the event. Nowadays, we are thinking about doing a big meeting for all the organisers, but we are waiting for the final result of the event to see if we can do something more,” Chema tells The AEGEEan. 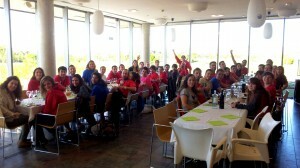 In terms of finances the question is still up in the air about how much money AEGEE-Zaragoza will lose. The support from the more than 30 sponsors was determinant for the great success for the event, however, it does not keep the Aragón antenna for paying for the event. “As far as we know, there are some other European student associations that work on the European level to get some important grants from Europe to organise their statutory events. Why don’t we do that also, since we do a lot of effort for other things at European level? 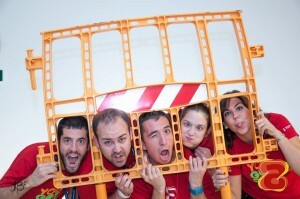 Why doesn’t AEGEE apply for European grants to organise their statutory meetings? That’s the question I asked myself every morning when I woke up lasts months seeing the economic problems we had. Maybe there are other important things to do on the European level instead of working on these basic needs,” Chema raises an interesting question. 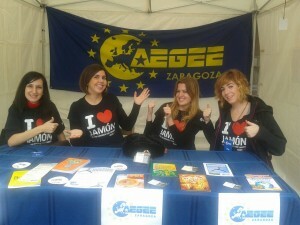 Maybe the ZarAgora organisers can help AEGEE-Patra with the upcoming Agora with sponsors’ advise. Chema assures that the help that AEGEE-Zaragoza received from Márton Demeter (main organizer of Autumn Agora Budapest 2012) and Alexander Sieber (main organizer of Spring Agora Rhein-Neckar 2013) was very important and of course AEGEE-Zaragoza wants to help the Greek organisers to get their success in the same way! Last year, AEGEE-Zaragoza had a very large board (16 members, plus advisory board) but this year they decided to have a small, agile and efficient board instead (five members, plus advisory board). Javier Aguerri was recently elected new president of AEGEE-Zaragoza and he is full of motivation after being treasurer, IT responsible, Local Events and ZarAgora organizer. He agrees that it is a challenge to take over after the large board from the past term, that did an exceptional job. But he also feels very fortunate of the pool of fantastic and numerous new members of whom many were helpers at the Agora. 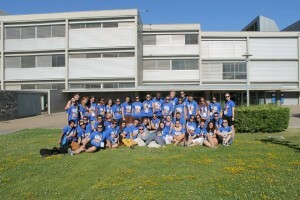 As many other antennae across the Network, AEGEE-Zaragoza works with the Erasmus students and have increased the activities this year. Following the tradition, once the University starts they organise the famous “Erasmus Welcome Week” with the aim to make members and Erasmus get to know each other and so that together they can discover the different traditions of the autonomous region of Aragón and also Spain. It is especially good for involvement of the new members: “It helps a lot as it is very useful for the members in order to learn how to organise and be in charge of events and activities. All this knowledge acquired with this Erasmus activity has been very useful to face big events such as the Agora,” Beatriz says. 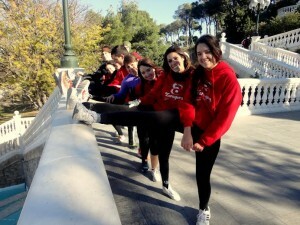 Members of AEGEE-Zaragoza sweat every week in salsa dance lessons or with the newly created running group that faces the wind every week. Two years ago AEGEE-Zaragoza used to organise language exchange activities but they were cancelled, but as a new great step forward they are trying it again and so far it works out great! 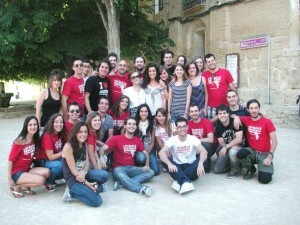 Additionally, AEGEE-Zaragoza also travels all over Spain through organising several trips each semester. 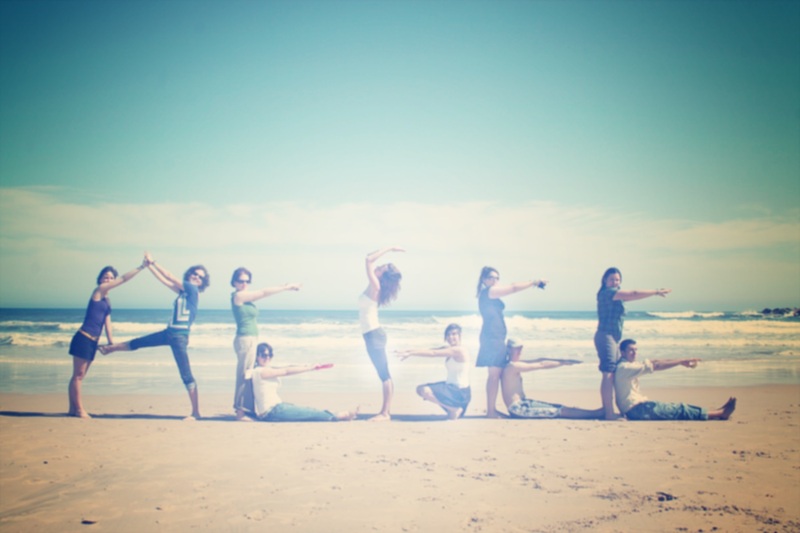 All of these activities have a coordinator and, depending on the needs of each activity, more people to organise them. But the board (especially the Local Events responsible) supervise everything and their problems are discussed in the weekly meetings of AEGEE-Zaragoza and the mailing lists, so everybody is more or less up-to-date and can participate when they wish. 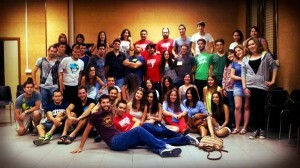 Fresh from organising the Agora, AEGEE-Zaragoza is ready to host a new event; this time a Local Training Course (LTC). Public Relations & Fund Raising responsible in the board Carlota Castel is one of the coordinators of the event and says “The situation in AEGEE-Zaragoza right now is quite unusual. We have a lot of relatively new members who have only experienced two events: their first Summer University as participants and their first Agora, as organizers. Now it is time for them to learn more about AEGEE and to become active members who are able to organise projects by themselves, so most of the workshops are related to the practical part: How to organise a project, how to use social networks properly, how to use online banking and more” It is an LTC that is organised in Zaragoza every year and always a success in terms of team-building and also a great help to clarify the ideas and improve the skills of the new members. What Javier is eager to focus on with AEGEE-Zaragoza is to ensure that the newest members are well prepared when they will be the ones in charge of the antenna. The LTC is one tool to achieve this result but also frequent workshops about different topics (basic knowledge of accounting, video and text editing, PR… etc) that will boost everybody’s aptitude to work in AEGEE. Another important aspect of PR for Carlota is to continue the excellent relationship with the University and make them and the members know that AEGEE-Zaragoza is much more than a Summer University project. 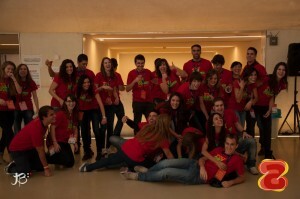 There is no doubt that AEGEE-Zaragoza puts in a lot of effort for promotion. This can be seen by the high number of members and also the fact that fresh from the Agora, two days, they promoted the antennae at a student’s fair at the university and promotion will be intensified in a few months in connections with the SU application period where posters, presentations of AEGEE, flyers, stickers and hopefully drawing even more attention to the antenna! In terms of FR the idea is to keep a good communication with the sponsors of the Agora, especially Lindt who made the event a lot sweeter! ← Quality is the key to everything!